Liza Palmer will have readers cheering as she explores friendship, true love, and self-acceptance in this "engaging and poignant" (Jennifer Weiner) novel. Everyone seems to be getting on with their lives except Maggie. At twenty-seven, she's still serving coffee at Joe's while her friends are getting married, having babies, and thriving in their careers. And now Olivia, Maggie's best friend since grade school, is getting married too. The man in Maggie's life? Well there isn't one, except the guy she has a crush on, Domenic, who works with her at the coffee shop. Oh, and her dog, Solo (the name says it all). When Olivia comes to town and asks Maggie to be her maid of honor, Maggie is thrilled... but she can't help comparing herself to the new and "improved" Olivia. Way back then, they befriended each other because they both struggled with their weight. Now grown up, Maggie is still shopping in the "women's section" while Olivia went and had gastric-bypass surgery in search of the elusive size 2. But as the wedding nears, Olivia's seemingly perfect life starts to unravel, and Maggie realizes that happiness might not be tied to a number on the scale. In this wonderful novel, Liza Palmer is both witty and wise, giving a voice to women everywhere who have ever wished they could stop obsessing... and start living. 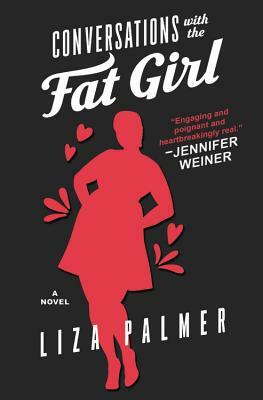 Liza Palmer is the internationally bestselling author of Conversations with the Fat Girl and six other novels. An Emmy-nominated writer, she lives in Los Angeles and works for BuzzFeed.